The real power comes in doing it without looking for reasons not to. After all, excuses are just our own invention. They’re not real. We just try to find something outside of ourselves to cover up for something inside that’s holding us back. 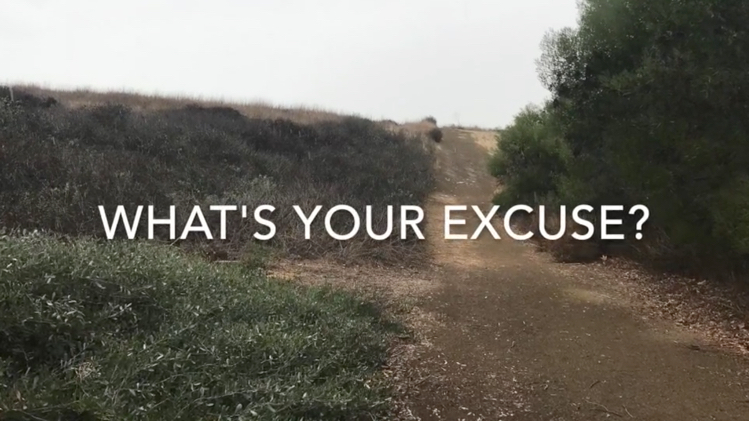 But maybe… just maybe… changing your circumstances will help you give up the excuses. Change your surroundings. Get outside. Go on a vacation. Start moving. The more you sit idle, the more you sit idle. The more excuses you make, the more excuses you make. It starts off that you don’t want to go to the gym and then suddenly you’re turning down a fun night out with friends and finally you’re avoiding calls altogether with your big fat excuses. The crazy part is you think you’re doing it because it’s more comfy staying on the sofa. You’re right— but only in the short term. In the long term— you’re only hurting yourself. Excuses are self-sabotage. So rip up those excuses. Actually, write each excuse down on a piece of paper. Make a nice tall stack of excuses. Then get your shredder or your lighter or whatever and destroy them once and for all. If we hold on to our excuses we’re going to end up with some serious regrets. There’s no excuse for that.